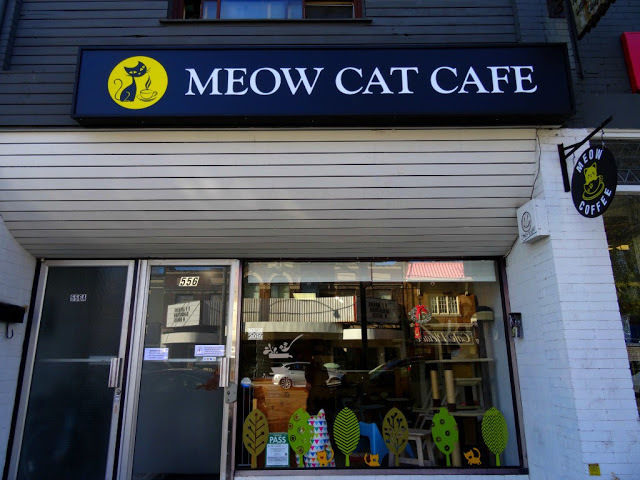 So I found this interesting cafe as I was surfing the internet last week looking for an interesting place my friend and I would go to in Toronto, that’s when I found about Meow Cat Cafe. Which is an adorable kitty cafe run by a mother-daughter team it is clean, quiet, bright, and traditionally Korean in its operation style. In general, I love the concept of a cat cafe where people can come and play with the cats. It’s great if you need to destress or have had a bad day/week. Or you may not be able to have a cat yourself but love cats (I have two but still love to cuddle with all the cats in the world). This gives you a place to go to be with them. Here is the address if you’re thinking about dropping in, it’s a great place for kids also to have fun with the cats. I found this place via blogTO which is a blog dedicated to Toronto’s local news, restaurant reviews, event listings and much more. It’s a great blog to help you explore Toronto and find out about everything new to the city. Previous How to DIY Body Scrub with Coffee? Have you heard of the cafés in Japan? They have owl, dog, hedgehog and other types of animal cafés too. Not sure how relaxing an owl café would be though, from what I’ve seen you get special gloves to hold them with so they don’t scratch you! Yeah in Japan cats cafe are famous and people love it. But never heard of owl cafe wow that’s unique. Have you been to a pets cafe before?